Bracers can be one of the most crucial pieces of armor for an archer, guarding the vulnerable skin on the inner arm from the bow string and arrow fletching. The War Bracers come in a pair to offer this critical protection. In addition, these bracers work great for melee situations. 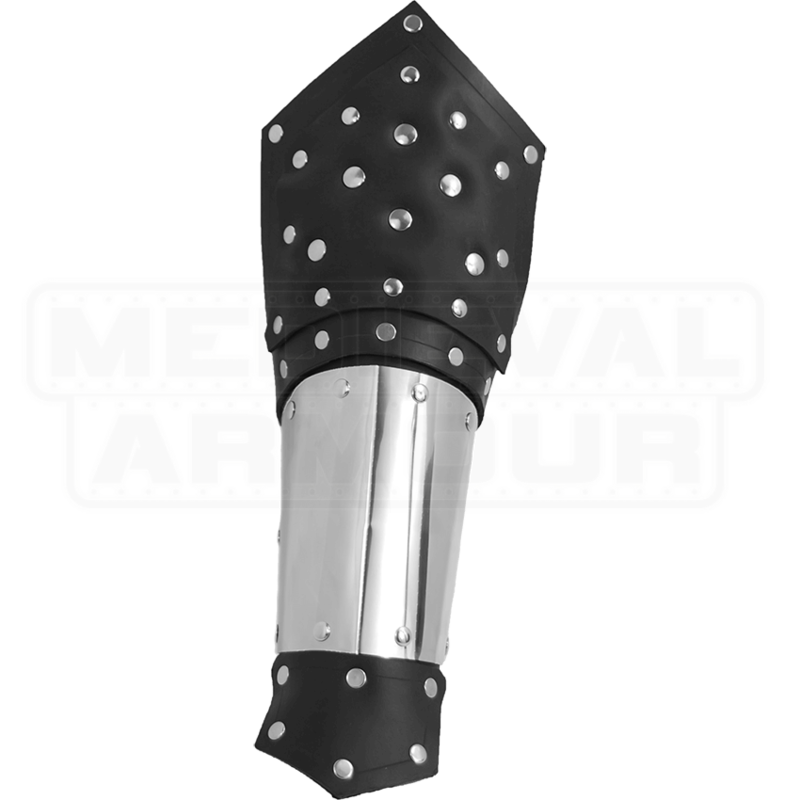 These pieces are suitable for LARP events as they are lightweight and allow comfortable and free movement. The 20 gauge stainless steel plates around the wrist require no maintenance while adding interesting style to the look of the pair. Crafted from 9-10 oz. 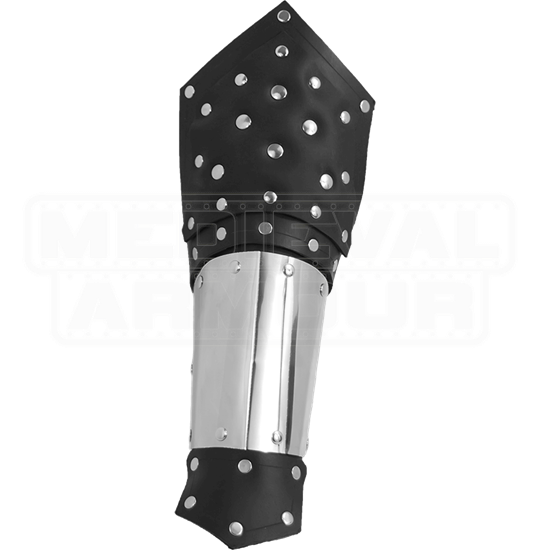 black leather, these bracers also display nickel-plated rivets as additional details. The laces of the War Bracers can be adjusted for fit.